Building on the Discerning Drinker series and educating discerning gents with a flavour for the spirits one tipple at a time, the next in our series focuses on gin. 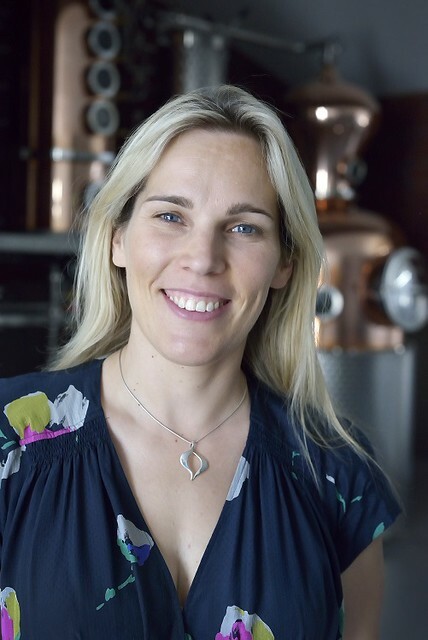 Botanicals and infusions can be a tricky path to navigate so Elysium Magazine has enlisted the expert knowledge of Miranda Hayman, joint owner of Hayman’s Gin. With more than 150 years of gin heritage at her fingertips, she is well placed to guide you on a flight of gin-ealogy. The discerning gent is a fan of a good gin but there are plenty about. What’s the difference between the various types available and should I prefer one type over another? Today the range of gins available is broader than it has ever been before. There are many ways to navigate through the available options but for us there is a fundamental distinction to be made between the traditional English Gin styles of the 19th Century era and the more modern ‘new wave’ styles of the 21st Century. While the new wave styles have grown in popularity to some extent, generally-speaking when most people think of gin they are still thinking of traditional English Gin – with its distinctive juniper-forward character and subtle background spice. This is all that we distil and is a spirit that has been at the heart of our family for over 150 years. Within the traditional English Gin style there are of course further nuances – and within our range you will find our flagship crisp London Dry Gin alongside our fuller Old Tom Gin, our English Sloe Gin bursting with ripe fruit and frangipane character, our navy strength Royal Dock and our cask-rested Family Reserve. All are traditional English Gin styles and all offer something very different. There is an enormous amount to explore. If there is one thing I should always remember about drinking gin, what would that be? To enjoy it! We always encourage everyone to find their favourite style and the variety of cocktails built around the classic English Gin style, it is so wide-ranging that there is something for everyone. The only thing we would say is that if you’re going to use gin to make a cocktail then take the time to make the cocktail properly and you will get so much more from it. The classic G&T can be elevated to an art form through the use of quality block ice, premium mixers and fresh, high quality garnishes. You really do get out what you put in – very much the same as when distilling gin! When drinking gin, should it always be with the classic serve of a G&T or is there another way to best enjoy this spirit? Are there any key considerations when drinking gin? There are any number of ways to enjoy traditional English Gin and one of the advantages of using this style of gin is that these are the gins upon which the original cocktail booms were first built. Every classic gin cocktail was built around English Gin, so while you can certainly enjoy a London Dry Gin and Tonic there are a huge number of other options to explore. Sticking with the London Dry you might choose to try a classic martini. Our Old Tom Gin is richer, more full-bodied and perfect for mixing in any number of early cocktails such as the Martinez or Tom Collins. Our English Sloe Gin is perfect neat with lime or added to English sparkling wine to provide a bright burst of fruit, while our navy strength Royal Dock creates a perfect traditional gimlet with the addition of sugar and lime. There are any number of options to explore and the best way to find the drink that best suits your tastes is simply to try a few! We know that lime is a tradition with gin, but is this really the right way to enjoy this drink? Would water or ice help? Or should I consider a mixer too? If so, what type of mixer? Citrus flavours are a beautiful compliment to the botanical brightness of traditional English Gins and lime is a classic pairing for several of our range. Why not try the bold flavour of a Navy Strength Gimlet, composed simply of lime juice, Royal Dock Navy Strength Gin, sugar and ice? Or even simpler, enjoy the decadent, dark fruit character of Sloe Gin over ice, with a squeeze of lime to add a burst of acidity. And the classic London Dry & Tonic is beautifully complemented by a lime garnish, which brings through the citrus botanicals used in distillation. But really the only way to find out the types of gin drinks you enjoy is to get out there and try a few. Be led by the styles of drinks and flavours you generally prefer and you won’t go far wrong! As with any quality drink, take your time and you will get so much more from the experience. To really understand a gin’s character in depth you must try it neat – ideally in a tasting glass such as a copita or small wine glass. Hold the glass at a 45-degree angle and nose the tip of the glass to reveal the citrus and top note botanical character. Move your nose further into the glass and you will reveal more of the mid-note character such as juniper. Hold the liquid on your tongue to reveal the mouthfeel before enjoying the earthier, spicy notes on the finish. However, while this is certainly the best way to learn about a gin’s character, it is not really how we recommend that gin be enjoyed! English Gins were the backbone of the early cocktail movements and this is really where the drink comes into its own. While several of our range are tremendously enjoyable when sipped slowly over ice, we always recommend that anyone interested in learning about how to drink gin learns first about the early cocktail era of the 1920s. Use this as your starting point and you will not go far wrong. If I wanted to impress my friends/boss/father-in-law when at the bar, what type of gin should I order? We have recently started to see a resurgence of interest in classic English Gin styles and one with a fascinating story is the Old Tom. The name Old Tom Gin comes from wooden plaques shaped like a black cat (an “Old Tom”) mounted on the outside wall of some pubs above a public walkway in 18th century England. Owing to the Gin Craze, the British government tried to stem the flow of gin with prohibitive taxes and licensing, which drove the scene underground. Under the cat’s paw sign was a slot to put money in and a lead tube. From the tube would come a shot of gin, poured by the bartender inside the pub. Old Tom has always been a firm favourite of anyone with a keen interest in the early cocktail scene and a Martinez cocktail is perfect for a short summer tipple. 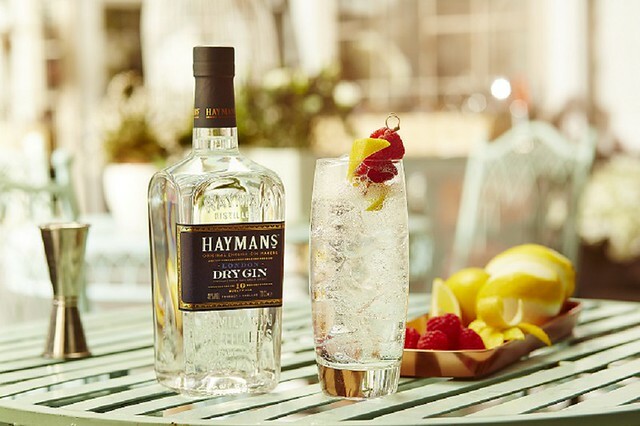 Tell us more about your role / involvement with Hayman’s Gin? 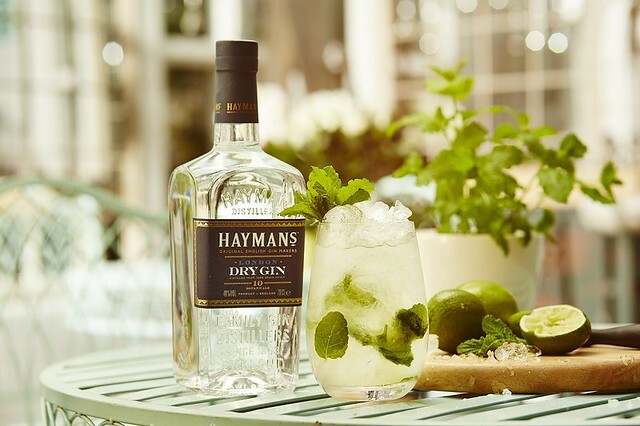 I’m the fifth generation and joint family owner of Hayman’s Gin. I work alongside my brother James Hayman, to oversee the day to day life of the business. As we have a small team my day varies but my main task is to educate the trade, our consumers and our international partners about Hayman’s 150-year GIN-ealogy and heritage.